Tis the season to do something special for the Troops. Whether you know someone who is currently serving in the U.S. Military or not, there are lots of fun ways to do a little something special for those who are going above & beyond for people like you and me. 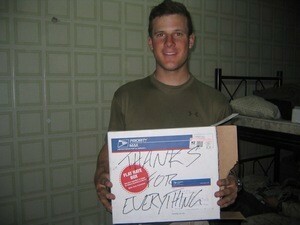 The first few times, we sent our packages to soldiers we didn’t even know. Then, for a couple years, we sent holiday care packages to our nephew, a Marine, who was serving in Iraq. 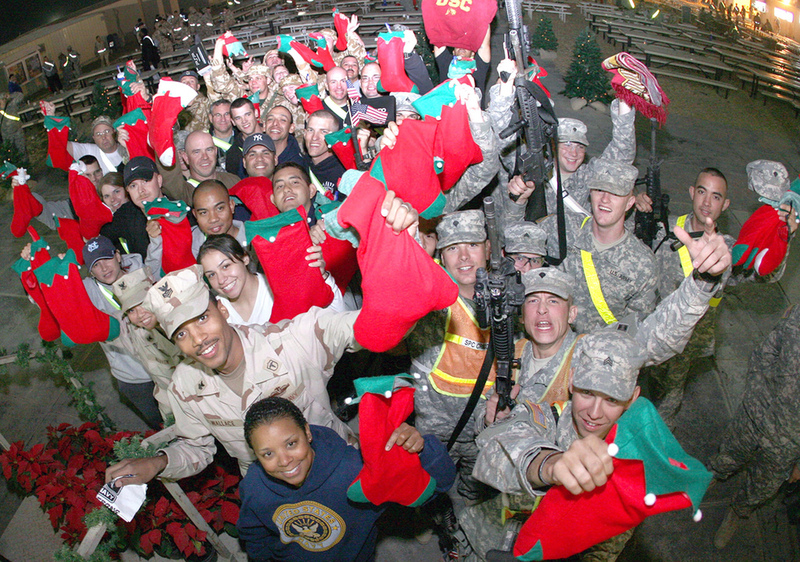 This year, since our nephew is back in the States, we will be sending our holiday care package to more U.S. soldiers we’ve never met. 1. Look for items with a long shelf life — since it can take several weeks for your package to arrive at its final destination. Some good ideas for cookies include: shortbread cookies, oatmeal & raisin cookies (because the fruit helps the cookies stay moist), and gingerbread cookies. 2. If you want to add some chocolate pieces to homemade cookies, use M&Ms instead of chocolate chips, since the hard candy shells help to keep the soft chocolate from melting. 3. For the sake of those who might be allergic to nuts, be sure to label anything you send that might contain nuts (or peanut butter). 4. Place baked cookies and other baked goods in a cushioned, airtight container then seal the ends with packing tape to assure the lid doesn’t come off and air can’t get in. This will keep the food items fresher longer. Choose the right box. The more an item inside your care package can move around inside the box, the more likely that item will break or spill. Consider wrapping the more fragile items tightly in bubble wrap. And choose a box that gives very little room for movement inside. 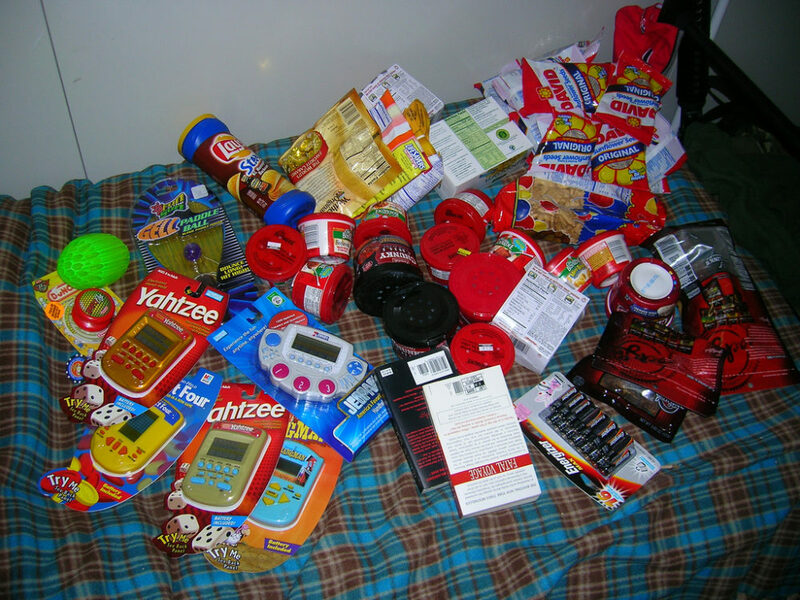 Of course, overstuffing a box is just as bad as underfilling it. If the box is too full, the items inside will likely bust out before reaching their destination. You can’t use too much tape. Be sure to use clear packing tape to securely seal the box shut from all sides. It’s best to use the “H” method when taping your care package shut. If you tape along all the seams, it will look like there’s an H on both the top and bottom of your box. Waterproof the contents. Simply line your box with a garbage bag to make it waterproof. This is great if the box gets damaged in transit and tears or pops open. Plus, if items inside should break open, they will be less likely to leak outside of the box.